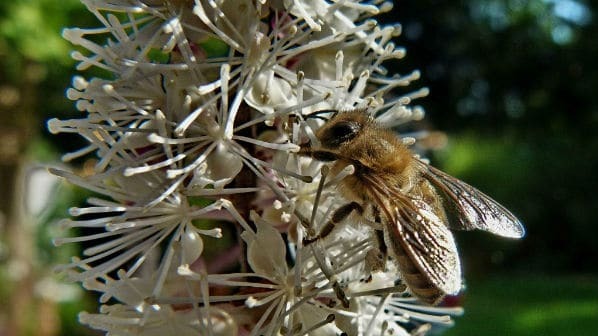 Home » Natural Ingredients » What Is Black Cohosh? Black Coshosh (Triterpenes extracted for use in Bust Bunny) is a spring and summertime flower which grows around 25-60cm tall. The flowers are petalless and have a sweet smell which attracts all sorts of insect attention—leading to high pollination and seeding. It was first given human attention by the Native Americans who used it to treat anything from sore throats to gynecological complaints. Black Cohosh is widely cultivated today for its remarkable effectiveness in treating menopausal symptoms. Black Cohosh is natively found in Eastern North America, most populous in throughout Southern Ontario all the way down to central Georgia. 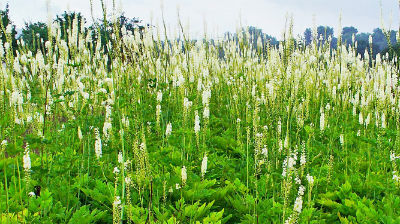 Black Cohosh grows best in a woodland habitat and can most commonly be found in small wooded areas. It is cultivated today for use in dietary supplements (like Bust Bunny!) and is also popular in gardens throughout the world for its midsummer-flower appearance. What Are the Health Benefits of Black Cohosh? Historically, the health benefits of Black Cohosh have stemmed from the use by the Native Americans for gynecological disorders. When the Europeans settled in North America, Black Cohosh’s medicinal reputation was borrowed from the Native Americans and in the 19th century, a doctor named John King, used it to treat nervous disorders and even rheumatism. This caused other physicians of the same era to study the Native American’s and Dr. King’s work and applications and discover that it was helpful to prescribe it as a treatment for endometritis, sterility, after-birth maladies, and even for promoting breast milk. On a scientific level, Black Cohosh is effective in treating menopausal complaints because it contains macrotin, which mimics the effect of estrogen in the body. Additionally, Black Cohosh contains acetein which helps with hypertension and isoferulic acids, which act as an anti-inflammatory. Moreover, much like Motherwort, one of the main benefits of Black Cohosh are the isoflavones. Bust Bunny would not be possible without isoflavones as they are crucial to aiding in the natural growth of breasts. As an added bonus, Black Cohosh can even keep the mosquitos away because it contains bug-repelling properties that are odorless to humans! While the extract taken from Black Cohosh for Bust Bunny is Triterpenes, which is completely natural and generally safe, there are some Black Cohosh side effects as a whole that cannot be completely ignored. 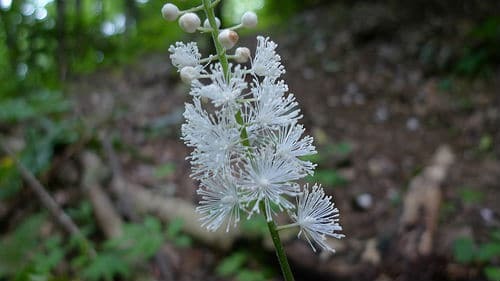 People with liver problems should stay away from Black Cohosh because it could potentially damage the liver under those circumstances. Additionally, make sure you’re taking a completely safe version of Black Cohosh, such as that found in Bust Bunny, because some mixing of potentially harmful materials can happen in the commercial supplements of Black Cohosh. Please rest assured that the Black Cohosh extract (Triterpenes) found within Bust Bunny is completely natural and safe and is only used to help promote the natural enlargement of breasts. Bust Bunny includes Black Cohosh as one of the supplements organic ingredients. This ingredient helps to lift, enlarge and prevent wrinkles. Start your journey with Bust Bunny today and get 10% off your order using coupon code “cohosh” or CLICK HERE to have it instantly applied. What Is Black Cohosh Found In? How Can Black Cohosh Make Breasts Bigger? Since Black Cohosh’s main medicinal use is to aid women in their menstrual and menopausal health, it only makes sense that it helps in the healthy and natural growth of breasts. If a woman’s reproductive system as a whole is healthy, than the natural enlargement and healthiness of your breasts will follow suit. Black Cohosh soothes your breast tissues and allows your breasts to make room for the natural production of breast milk, increasing your breast size even when not lactating. Black Cohosh makes breasts bigger through the isoflavone chemical. This chemical is broken down by your body into estrogen which the main hormone for breast growth. 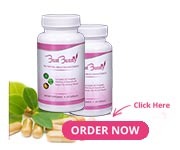 With Black cohosh being an ingredient in Bust Bunny Breast Enlargement capsules, most women will see a noticeable change in their bust size. The flower is all natural, and is considered safe by the FDA (it is listed on their Generally Regarded as Safe list, or GRA). Black Cohosh has been used to effectively assist women for many years, and will aid in your breast growth journey. Start your journey today for 10% off your order using coupon code “cohosh” or CLICK HERE to have it instantly applied.